As we were decorating for this year’s holidays we noticed that there were a lot of items we weren’t using. Either they didn’t fit the colours we liked or they were simply too old and dated. 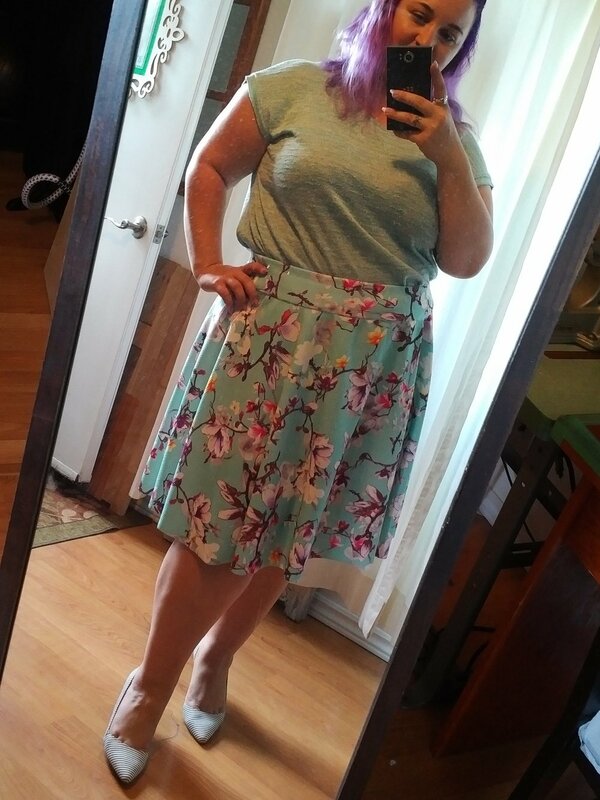 Instead of adding to the landfill I decided I would do a little upcycling. 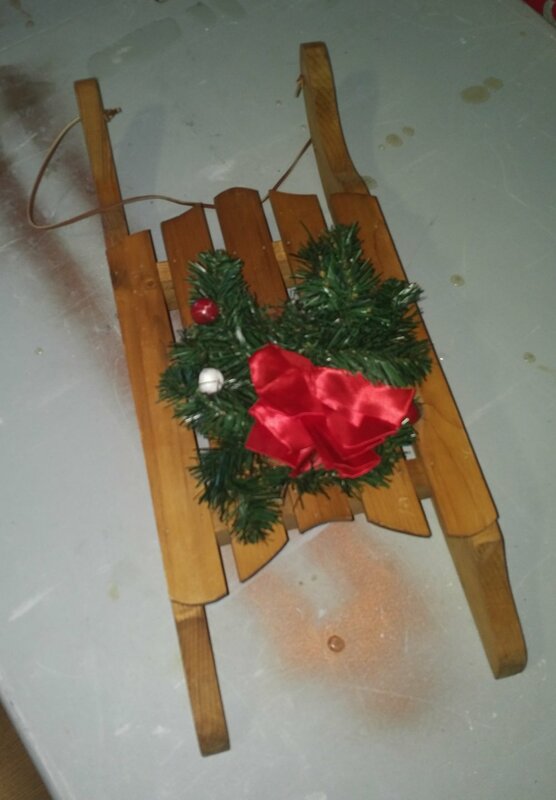 Here’s what I did to an old wooden sled that has been in the family for about 30 years…. 3. Once the surface was cleaned (of varnish and wash with soap and water) I let it dry over night to make sure I wasn’t trapping anything in the wood grain. 4. I began by white washing the sled with a thin coat of white stain. I used a cloth instead of a brush to rub the stain into the wood grain. 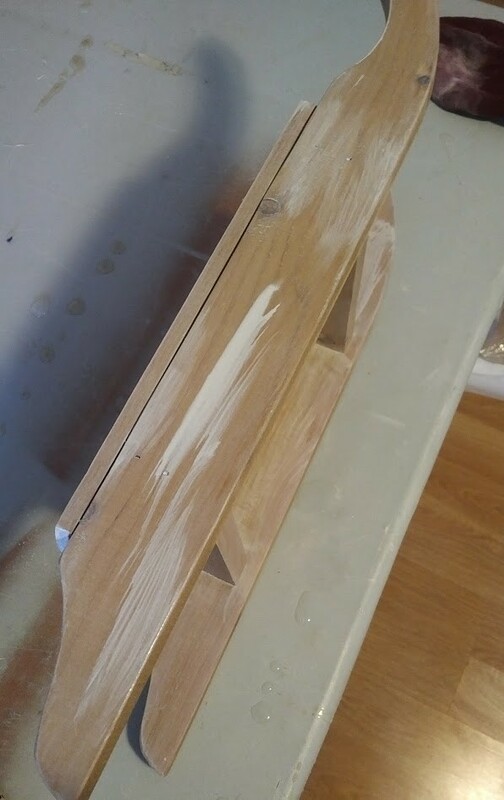 – This will give the wood a smooth little coloured even coat across the entire surface. 5. Because I didn’t want the sled to be the same tone of white all around I decided to add thicker coats of stain in certain areas. This helps give the wood some dimension and interest. 6. Once the colour of the stain was looking complete I used a clear spray varnish to seal the paint. 7. After the varnish is dry I reattached the leather string, and starting shopping for some holiday decorations that would match my theme. 9. 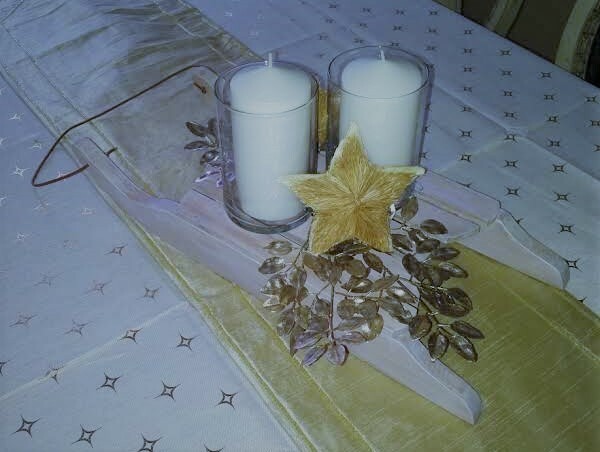 I knew that I wanted to have tall pillar candles as part of the decoration (remember that if you’re going to use candles that they will be able to burn safely around other items – I used the glass votives as protection). That left me to find something to sit at a medium height and a smaller item to sit closest to the sled. 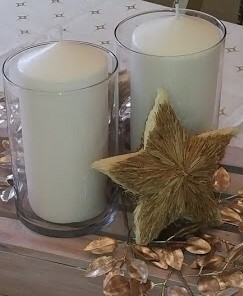 (I found the gold leaves as the item to rest on the sled as a neutral tone and the straw stars add a texture that you want to fell. I’m very happy with how this sled turn out. For this whole project I was able to use items that I had around the house. The only things I bought were the gold leaves and the straw stars. I was able to save the environment and save a little but of money by not going out and buying a whole new piece but by simply looking at what I had around me in a new way. 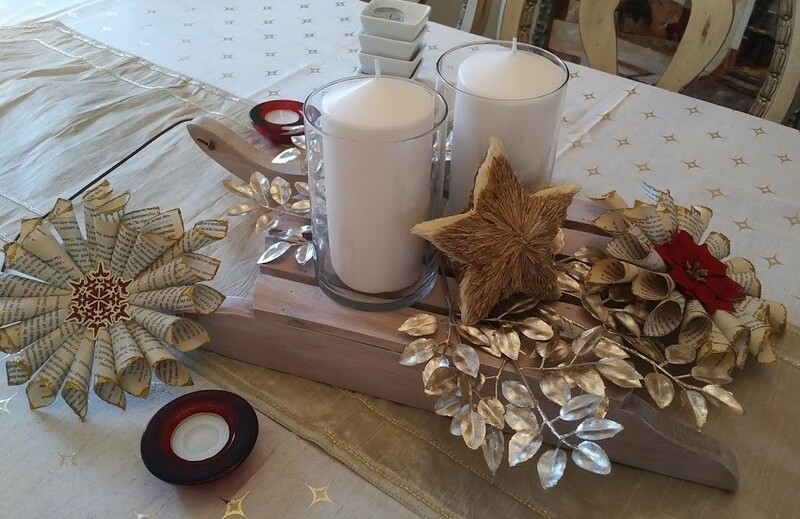 If you are interested in upcycling now is the time to check out your local stores for holiday items on clearance, and start a little project of your own. 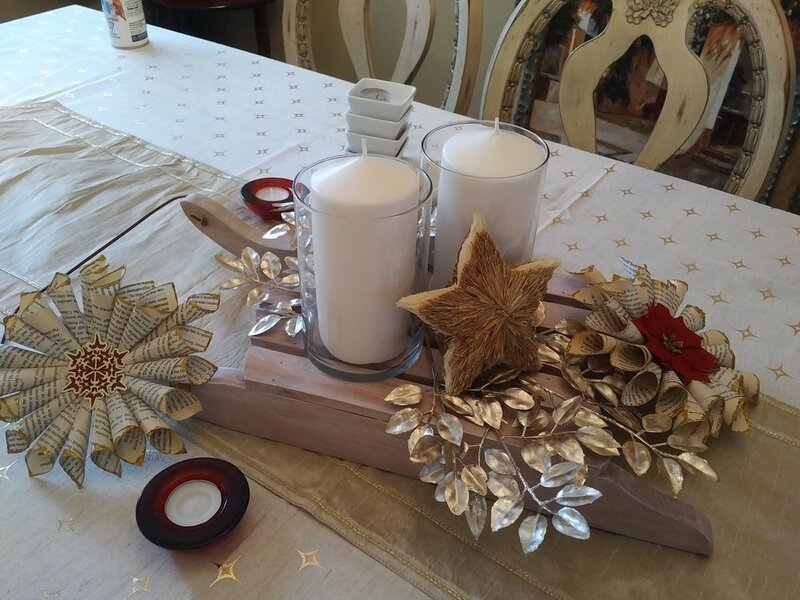 As your family is packing up the holiday decorations think about the things you don’t use anymore and how you might be able to turn them into something beautiful.